The eighth edition of the Lucas Dolega Award is now launched! We’re waiting for your reports from October 8th to November 11th 2018. This year again, we will be able to receive reports only by internet. The Lucas Dolega Award is open to all freelance professional photographers, without age or country restrictions. The participation is free. 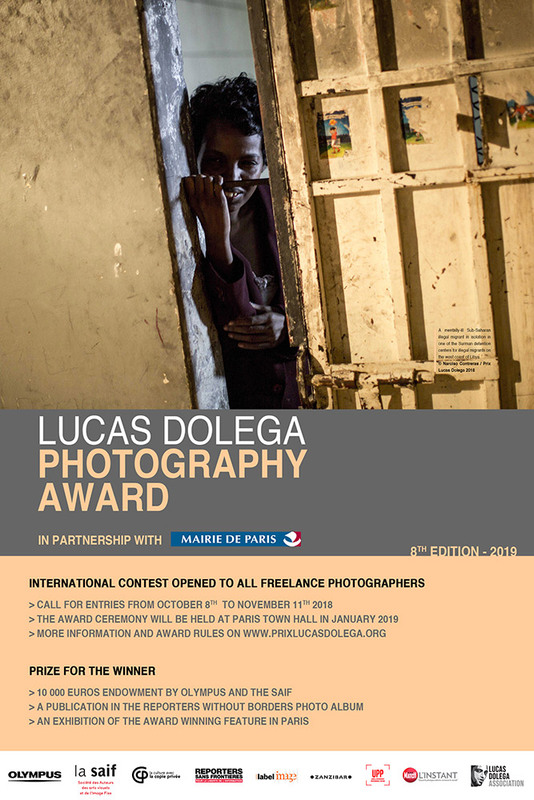 The Lucas Dolega Award will reward a photographer with a endowment by La Saif and Olympus of 10.000 Euros, an exhibition in Paris, and a publication in the Reporters without borders album. The award ceremony will take place at the Mairie de Paris, in january 2019.